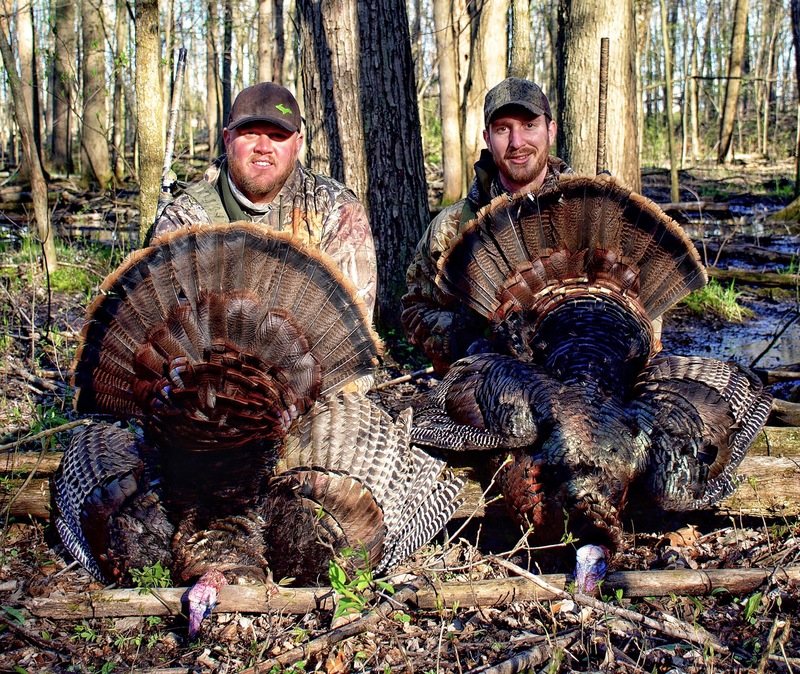 Spring turkey season is in full swing across the country, and gobblers are hitting the dirt. Every hunt holds special memories, and if you are like me, preserving them and honoring that trophy is important. A “Do it Yourself,” turkey mount is not just simple and inexpensive, but it will also look great on your wall! Below, I’m going to take you through each step, and the supplies needed, to mount your spring turkey. You’ll want to start by cleaning any excess meat and tissue from the back of the tail fan base. Be careful not to cut tissue away from between the quills, or the feathers may fall out. On the front of the fan base, try to retain as many of the iridescent feathers as possible without leaving an excessive amount of flesh. The less meat you have to cure the longer your turkey mount with last. Repeat this for the beard and spurs. Again, do not remove too much or the beard may fall apart. Skin the spurs and remove the tendons and marrow from inside the bone. I typically like to cut the leg bone with just enough length to retain the spur. It usually ends up being just about an inch of bone. Before you set the fan, rub any exposed tissue with borax. Now, lay the fan flat on your piece of cardboard with a thin layer of borax under the base of the fan. Starting from each outside tail feather and working your way to the middle, begin spreading out the fan and tacking each feather in place with a push pin. You’ll find the feathers will want to fold upward. I like to place my push pins on the top side of the quill without puncturing the quill itself. While some people do place pins through the feather’s quill, I would suggest avoiding anything that may jeopardize the feathers integrity. One important aspect of placing the fan, is to watch how the feathers want to naturally fall in place. As you move inward, you’ll see each feather overlaps the last slightly. Making sure each lays symmetrical isn’t necessary, but is aesthetically important. Once you have the tail fan spread and pinned in place, finish by covering the remaining exposed tissue completely with borax. Do the same for the tissue on the beard, and the bone of the spurs. Borax, the salt of boric acid, works as a drying agent in the same essential way that a common salt cure does. Removing the moisture thoroughly preserves what tissue is left and prevents it from rotting. The reason I prefer borax over a salt cure is because I find it not only dries better, but it also removes any odor. Not to mention, borax works well to deter any bugs. This drying process will take anywhere from 3-8 weeks, depending on the conditions it is drying under. I like to check it every week to monitor the progress and add new borax if needed. I also prefer a long term approach to the drying time, and almost always wait at least 8 weeks until I finish the mount. Now that the curing process is complete, and your fan, beard, and spurs are completely dry, it is time to finish it up. A variety of companies make turkey mounting plaques with plenty of styles to choose from, and custom plaques can be found online in a wide range of styles if you are looking for something unique or specific. Each plaque will have instructions for attaching your fan, beard and spurs. I suggest following each individually for mounting the fan. One unique modification that I always make is hot gluing the beard into the brass from the shotgun shell used to harvest that particular turkey. It is as easy as cutting the plastic shell from the brass and gluing in the beard. I then drill a small hole in the top of the brass and insert a piece of leather string to be attached to the plaque (see photo at left). It adds an additional touch of sentiment and really finishes off the mount. Now that your turkey mount is complete and you’ve cleared space on your wall, hang it up, stand back, and be proud! There is no better way to share your pride as a hunter, and to preserve the lasting memories from a successful hunt, than with a mount you’ve done yourself. Shaped by generations of savvy woodsmen before him, Dustin’s passion for the outdoors is steeped in family heritage and rooted in the outdoor culture of Michigan’s Upper Peninsula. An outdoor lifestyle built around hunting, fishing, and family was instilled in him by his father, who had him in the woods and on the water before he could keep up. Dustin now resides in the farm lands of Mid-Michigan, but still calls the U.P. his home. He hunts and fishes to not only enjoy the bounty it provides for the table, but also to fulfill a responsibility and advocate for conservation and ethical management of our wildlife and natural resources.